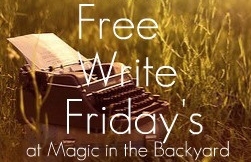 As a method of overcoming writers' block, the technique of so-called 'free writing' is one that is well established. However, in the absence of a sense of writers' block, it is also a very good technique to apply in helping uncover a new poem. Try it! Give yourself a prompt, which might be anything, any thing at all, and set your timer for say ten minutes. Begin writing when you start the timer and write continuously until the buzzer sounds without once lifting the pen from the page. Don't worry about punctuation, just keep writing – keep on keeping on. It's good to get into a 'stream of consciousness' kind of mode, where the words seem to flow with a current of their own. Don't forget, you're not attempting to craft a poem at this point in the exercise, merely to get some thoughts down on the paper (or in your word processor; now there's an antiquated word – you might use that as your prompt). Once you've finished writing, that's the time to review what you have produced to see if there's something in there than can be used for a poem. If you're any kind of writer, there's likely to be a line or two or some phrase appear that's crying out to be turned into a poem. If not, don't be overly concerned; treat it as therapy – and have another go tomorrow. From my free write based on the line 'He was my North, my South, my East and West' I derived the lines below. This is not a poem. It's a collection of rhymed and un-rhymed lines, some of which contain iambs, some trochees – maybe there's an anapaest or two in there (to the depths of a mind) – and some of which have end rhymes, and some with internal rhyme, and there's a sprinkling of alliteration too, which classical components somehow, somewhere, sometime, will end up as a poem – perhaps. and all we can hear is that symphony of bells.